(NewsUSA) - Sponsored News - Those first few years of your baby's life are filled with milestones, from their first giggle to their first wobbly steps. Though you can't see it, something important is happening inside your baby as well. Their gut microbiome - the microbes and bacteria that live mainly in their tummy - is busy developing. Helping your baby develop a healthy microbiome can help support their immune and digestive health for life. 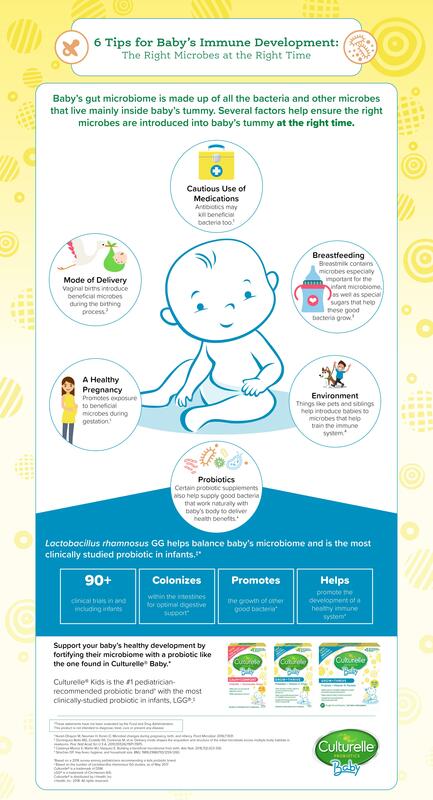 Here's an easy breakdown of six factors that help ensure the right microbes are introduced into your baby's tummy at the right time. Hint: you can keep the dog!